Treasury and the Department of Industry and Innovation are currently undertaking targeted consultation regarding employee share scheme options including their use and impact on Australian start-ups. This issue has been raised through various consultations with industry including the Prime Minister’s Digital Economy Forum in October 2012. 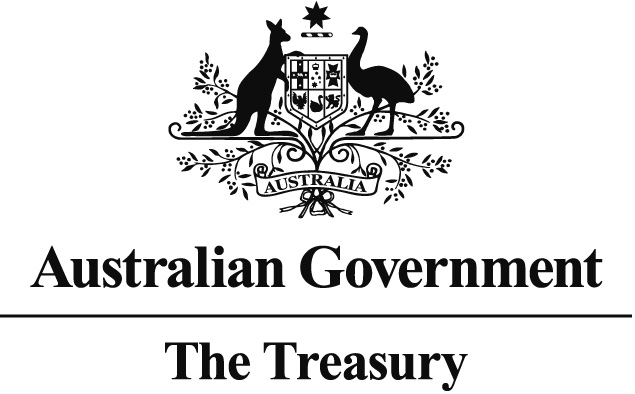 At the Forum, the Prime Minister committed the Government to the development of a Digital Economy White Paper (link), to examine how the Australian Government can best support the growth of the digital economy. The White Paper is expected to focus on aspects such as digital innovation and the supporting regulatory environment, including how to encourage innovation and investment in Australia’s digital economy, as well as adoption of cloud computing, ICT skills and teleworking. The outcomes of our consultations will also be considered in the context of the White Paper. the barriers to offering an employee share scheme, including how the current tax and other regulatory requirements may limit the ability of start-ups to offer such schemes. I'm meeting with the department tomorrow morning. Below are my notes for the meeting. If you have anything you'd like me to add please leave them in the comments below. Attracting top talent, particularly outstanding software engineers and experienced digital marketers is hard in Australia. We invest a significant amount of our resources in building our name and reputation as being a great place to work, attracting top talent to apply for roles with us, then motivating and retaining these people once they're hired. We've had to compete with overseas companies to hire Australians, and on many occasions we've had to recruit from overseas to get the right person for the right role at Shoes of Prey. We've promised all these hires participation in an employee share plan and we're in the process of setting this up. Drives employee engagement and loyalty. Engaged, loyal employees are happier. Aligns interests of employees with the company. Leads to greater success for the company, employees and the economy as a whole. Helps attract top performing employees. Superstar software engineers, marketers, sales people and others are able to work in many different countries in the global economy. Strong ESOPs can help keep them at Australian companies, and attract top talent from overseas to Australia. Allows wealth to be spread more evenly. If a company is successful, people working at the company benefit, not just the founders and investors. ESOPs and high employee engagement have helped drive growth in the US economy in the last half century. It's estimated that 28 million US employees participate in an employee ownership plan, about 1/5 of the entire private sector. ESOP adoption rates are estimated at only 6% in Australia. Current Australian tax policy treats options like compensation rather than capital gains for tax purposes. Employees therefore have to pay a significant amount of tax during the same year as the options are purchased, when, particularly at startups, there is a reasonably high probability those shares may never realise any value for the employee. There is a complicated way around this, that involves a limited recourse loan arrangement provided by the employer. We're exploring this now but it's relatively complicated and expensive to set up for a startup and could be made much simpler. The taxation treatment of ESOPs needs to change so that employees aren't taxed on their options when they're received, instead the sale of the options should be treated as a capital gain when they're sold and a cash payment is received. Great article and I agree there needs to be a change to make us in oz more competitive when recruiting top talent..
Good luck with your meeting.. The key is that when the employee receives a "gain" from the options / shares that is when they should pay the tax. It's ridiculous that an employee is asked to pay up from their own pocket as they have seen no additional income from the shares. Agree this is the main point. But I don't know that reference should be to 'sale' of the options. Usually optionholders uner an ESOP will have no ability to sell their options but if they can do, then they will receive cash and I think CGT should be payable then. I think the right terminology is that the option holder should not have to pay tax when the option is granted, vests or is exercised, because no cash benefit is received at that stage. CGT should only be payable when the underlying share that is received upon exercise of an option is disposed of. Thanks for pursuing this important issue. I wrote about the same issue on my blog last year (http://techchomp.blogspot.com.au/2012/07/kickstarting-aussie-startups-stock.html) and couldn't agree more. In the US and the UK stock options are taxed at the time of _exercise_ and employers are required to withhold the income tax. I think this apporach is a good compromise. Deferring taxation until the actual sale is probably too generous. This is a massive problem affecting the Startup ecosystem in Australia. It drives experienced technical employees away from innovative young companies who desperately need their help. Good luck Michael - this is a massive issue facing Australian start-ups as we try to compete globally and locally for talent. One of the most important things that we can offer potential employees is options or equity in the venture instead of salary. The current tax system views that issuance of equity or options as income based on speculative valuations which many never be realised. Thus employees must pay tax on those shares, yet if the company goes bust the next year - they've paid tax on worthless shares. It doesn't make sense. The US approach is much better. I hope that your meeting goes well. This is perfect: "The taxation treatment of ESOPs needs to change so that employees aren't taxed on their options when they're received, instead the sale of the options should be treated as a capital gain when they're sold and a cash payment is received." I would also point out that a secondary effect of Australia's deficient approach to ESOPs is that it is pushing Australian entrepreneurs to incorporate in the US - which I believe would, ultimately, be losing tax revenue, export revenue and employment opportunities for Australia. If the option is NOT offered at a discount, the relevant law you're referring to does not apply. The key issue is that you have to set the exercise price at 170% of the share price to achieve this. But in a fast growing company and granting 3 years in one hit this is not a problem. Michael, thanks for taking it on. It's a no brainer in my books. As founder of new Aussie startup, SavvySME, I can attest to how hard it is already to attract talent, without been hamstrung by such a tax law when ESOP is one of the very few benefits we can offer our employees. How did you go with your meeting? I would love to hear the result of this meeting too. Issuing options without a discount seems to be the only way forward, which isn't as attractive. I couldn’t agree more with this debate. Employee Ownership Australia and New Zealand is looking to lobby Government around creating new plans for start-ups and SMEs in Australia. We are going to have an initial closed breakfast in Melbourne and we are looking for companies that have or are looking to have an employee ownership plan in their company. We want to understand the barriers and issues that companies are facing to start building the case for employee ownership changes. Our website site is www.employeeownership.com.au and our email is angela.perry@employeeownership.com.au if you are interested in being part of this process. I look forward to hearing from you.